Gaining visitors’ trust is essential to your website’s success. New users may be wary of scams, and hesitant to make purchases or provide personal information in contact forms. How trustworthy your site appears to be plays a huge role in whether or not visitors choose to engage with your content. Following the principles of sound web design is crucial to building trust with visitors. Fortunately, a strong multipurpose theme such as Uncode can help you design your site in a way that will keep visitors coming back time and time again. You don’t have to be a design expert either – a few simple changes can go a long way towards gaining visitors’ confidence. In this article, we’ll discuss why encouraging users to trust your site is so important. Then we’ll share five ways web design can be used to alleviate their fears, and explain how Uncode can help you accomplish each technique. Let’s get going! These days, e-commerce scams are on the rise. Anyone who enters credit card or personal information into an online payment platform or contact form risks having their money or even their identity stolen. On top of that, all internet users have to be wary of malicious sites that automatically install malware on your computer or device, in order to steal personal information. Any web site could potentially be dangerous, and the cost of putting your trust in the wrong site is often high. When you consider all of these factors, it’s not surprising that many people hesitate to trust unfamiliar websites. In the absence of evidence that a site is trustworthy, many would rather walk away than risk accidentally downloading malware, or giving their personal information to people with bad intentions. As it turns out, studies show that one of the first indicators of a site’s trustworthiness is its design. A lack of personal information, outdated content and design elements, and low-quality images are all red flags that will send visitors running the other way (just to give a few examples). A website needs to retain users in order to be successful. If you want to keep visitors on your site, and encourage them to make purchases, fill out forms, or otherwise engage with your content, using web design to demonstrate that you’re trustworthy is a must. When you’re using WordPress, the key to stellar web design is using the right theme. 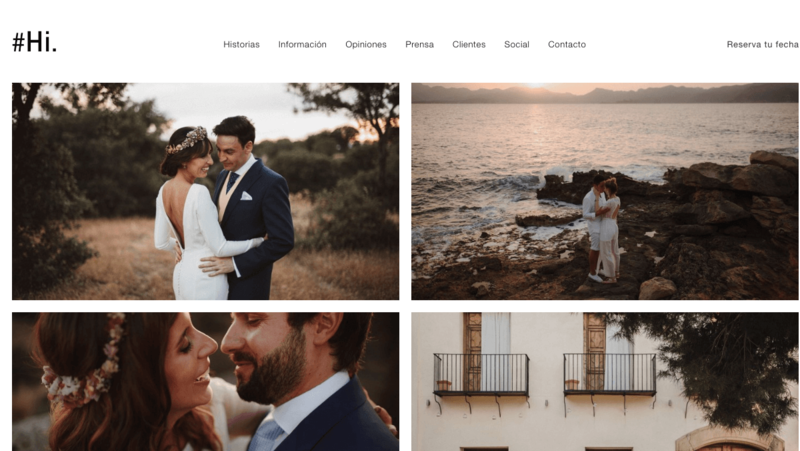 Uncode – our flagship multipurpose theme – includes several features that make it easier for you to incorporate design elements that promote trust. Let’s look at five of the ways you can create a more trustworthy site, and how Uncode can help. Stock photos are easy and cheap to use. However, including too many of them on your site can appear suspicious, and make it look as though you’re unwilling to associate your image with your website. On the other hand, using personal photos offers evidence that there’s someone behind your site who’s proud to be associated with it. Visitors can usually tell right away when you’re using stock photos. Even high-quality imagery can feel too staged to be authentic, while personal photos appear more genuine. Authenticity, as we’ll continue to see throughout this post, is a key indicator that a site can be trusted. 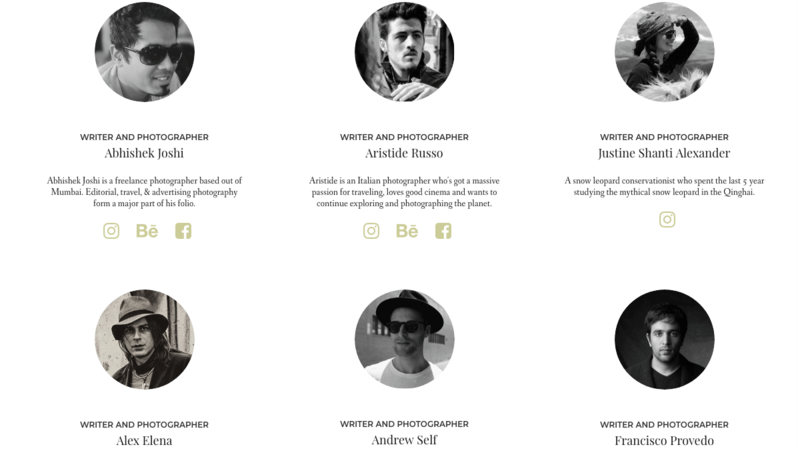 The various layouts on offer are great for portfolios, team member bios, travel blogs, photography sites, and so on. Using these features, you can incorporate lots of highly-specific imagery on your site that will help it come across as more genuine. Collecting and publishing real customer reviews is an excellent way to build trust. For a start, they show new visitors how awesome your customers think you are. What’s more, visitors can look those clients up, and verify that real people have successfully worked with you. With Uncode, you can easily embed videos anywhere on your website. Our theme also enables you to seamlessly incorporate Twitter and testimonial carousels, if you want to go with a more traditional option for displaying positive reviews. An active Facebook or Instagram account can go a long way towards proving your trustworthiness to visitors. Adding some personal information and posting regularly helps to show that there are people behind your site who are invested in it. Adding social media links to your site is simple with Uncode. You can include social sharing links at the end of posts, and link to team members’ individual social media accounts in several of the theme’s team member layouts. A regularly-updated blog works a lot like an active social media account, providing evidence of an invested person or organization behind your website. What’s more, the information you share on your blog can also say something about the legitimacy of your website. Crafting useful, well-researched posts shows off your expertise in the areas you’re writing about. Scams and malicious sites don’t typically offer high-quality posts, and tend to churn out content quickly and with minimal effort. Uncode posts are capable of seamlessly featuring multiple types of content. So you can pair text and video, images and audio, Twitter quotes and galleries, or just about any combination you can imagine. 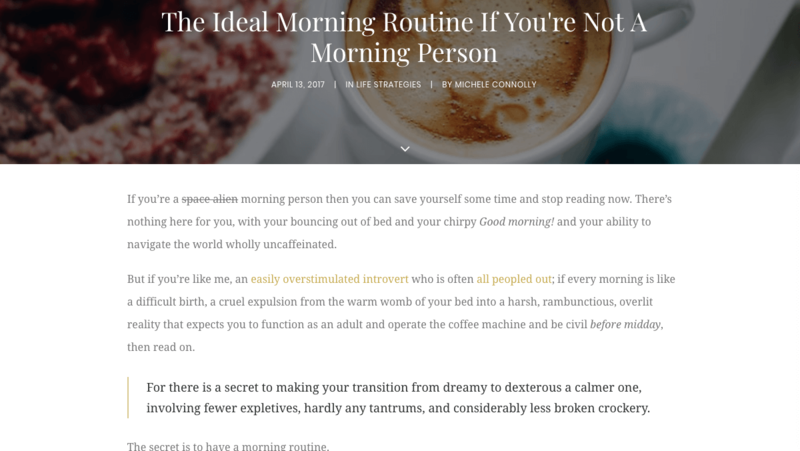 An expertly-crafted ‘About’ page adds a certain ‘humanness factor‘ to any site. Visitors like to see that a website or business has some history behind it. Additionally, a well-told story of your website’s or business’ founding helps it feel more authentic. Instead of creating your own page from scratch, you can improve your results by starting with one of Uncode’s expertly designed, pre-built About pages. Many of the theme’s demos include About page templates that are adaptable for all kinds of sites. Website visitors want to feel confident that their information and money are in safe hands. With the increasing number of e-commerce scams out there, it’s no wonder that they’re hesitant to make purchases and fill out forms. Using web design to inspire trust in your site’s visitors can help put their minds at ease, and improve the likelihood that they’ll make purchases and engage with your content. Use personal photos, not stock photos. Get creative with customer reviews. Link to complete and active social media accounts. Maintain a regularly-updated blog that provides useful information. Include a well-written About page. Do you have any questions about inspiring confidence in your site visitors? Let us know in the comments section below!